I have spent most of the summer breathing in the beauty of the Adirondacks and falling more in love with the place every day. I have, painted and hiked and paddled and painted. I continue to meet interesting and generous people everywhere I go. 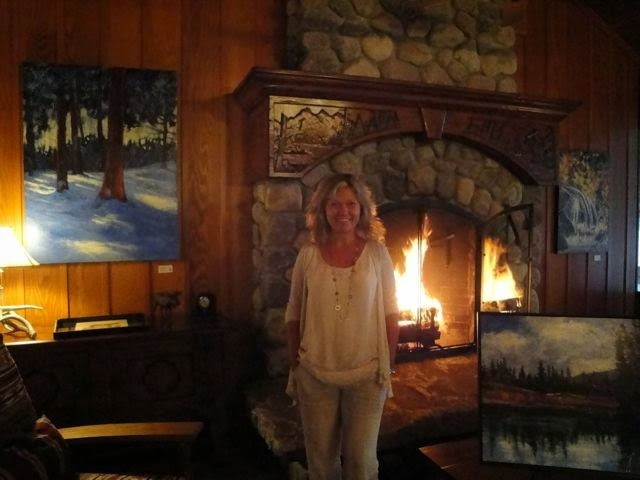 This year's painting culminated in a grand pop up gallery held in magnificent private home on Upper Saranac Lake. 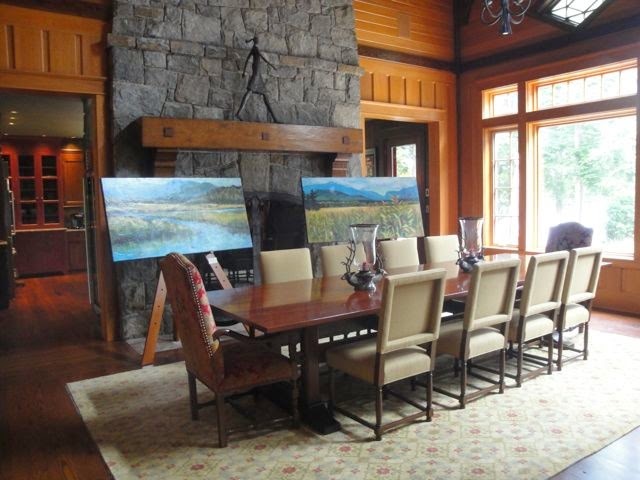 It is so rewarding to have a large body of work (40 paintings) installed in such a gorgeous home environment. 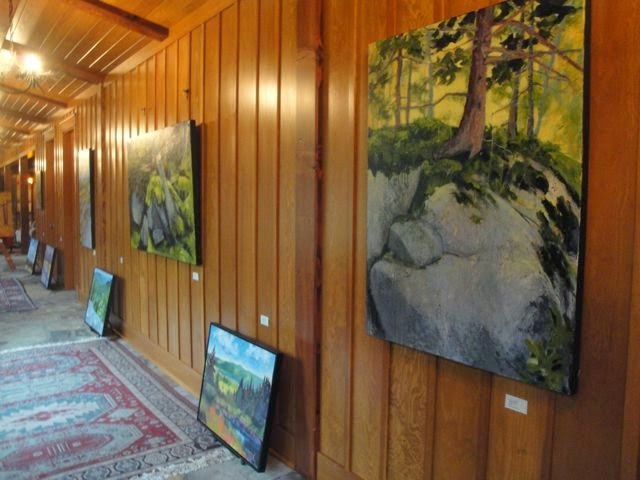 This whole story began last July when I had a solo exhbition at View in Old Forge, a wonderful Arts Center with several well designed gallery spaces for exhibitons. I became an accidental artist-in-residence when a certain woman purchased the signature piece from my show. Marsha Stanley has written a delightful article about this experience from her perspective that was recently published in the Adirondack Almanac. A beautiful preview cocktail party was held for the AdkAction.org board members as well as the board of the local Wild Center. Both of these places are dear to my heart and 20% of all sales were donated to AdkAction.org for the many wonderful projects they do in the area. I will be giving a talk at the Wild Center on Sept 8, 2014. 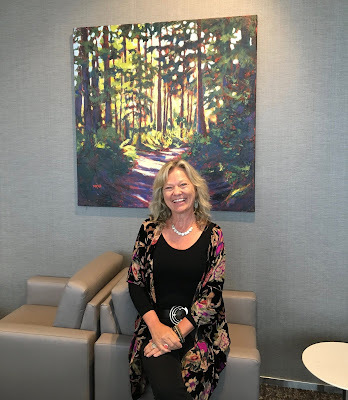 The talk is entitled "The Wilderness Within" and will give a glimpse into the process of my own artwork as well as discuss the advantages of using social media as an isolated rural artist. The pop up continued for another two days and many, many people dropped by. 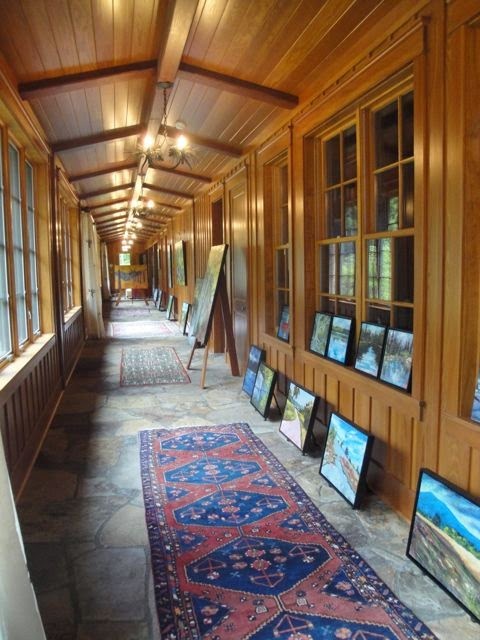 I sold eighteen paintings! The gallery curator from the prestigious resort next door called "The Point" came by and selected four paintings for their gallery as well. It was a tremendously successful experience for me on many levels. 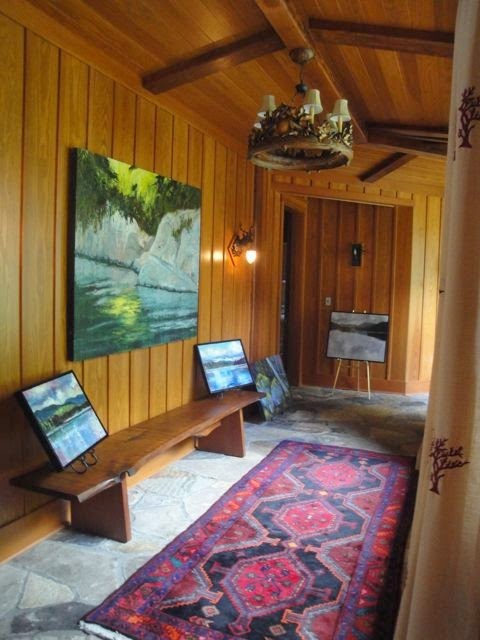 It is a lot of work to do a pop up gallery but well worth the effort. The direct contact with the people who come to see and/or purchase my artwork creates new connections and friends that I value dearly. 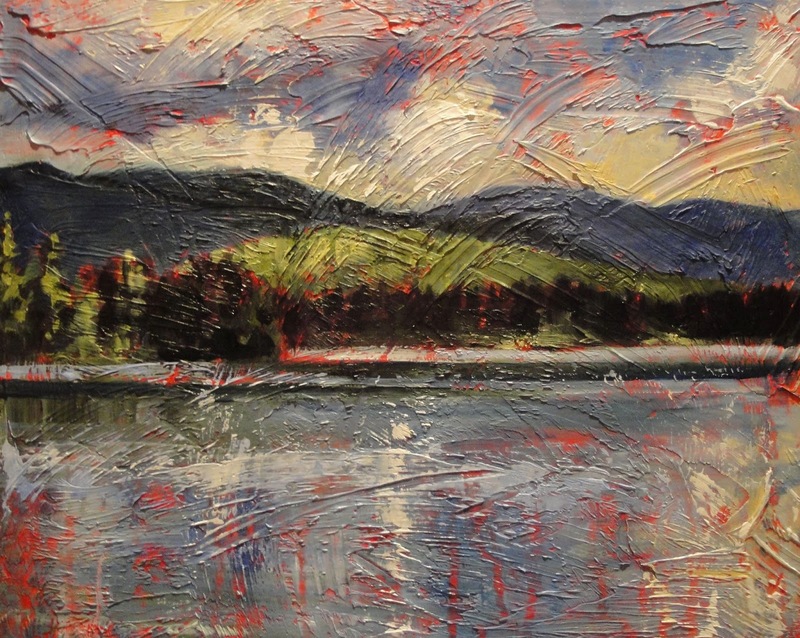 I will be returning this week-end to participate in the Plein Air Arts Festival organized by Artworks of Saranac Lake. 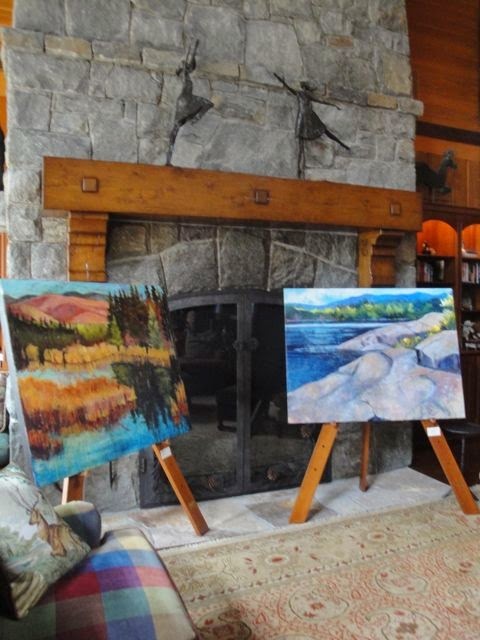 I am looking forward to this event as there are so many incredible spots to paint in this sparkling part of the Adirondacks.